There are many mountains and all sizes in Bali that are just waiting for you. 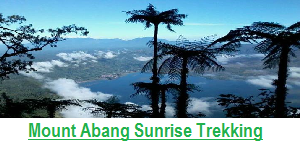 To enjoy the best of these mountains it is customary to leave early to enjoy the spectacle of sunrise from the top of the volcanoe. The ascent will be done with a local guide preferably. 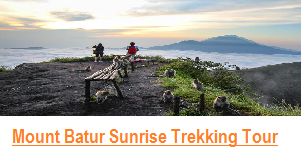 Mount Batur is an active volcano, the climb is mainly from Toya Bungkah and Jati temple. This climb will take you from 2 to 3 hours and half for the descent. 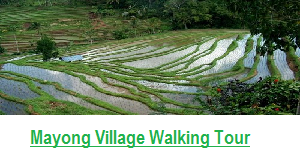 Note : We are Bali Jungle Trekking Team organize from Toya Bungkah Village, because this route is not too busy. Once at the top you can enjoy magnificent views of the neighboring countryside. 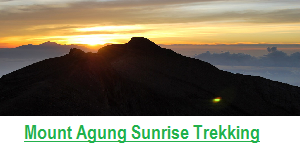 Mount Agung is the most difficult mountain to climb and best known for trekking in Bali. 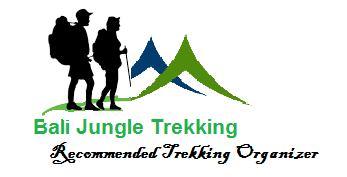 The level is really high, this trek is for those who already has experience in climbing volcano. The departure is done very early in the morning in the dark, so plan the adequate material. 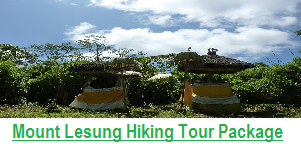 Several routes are possible, the first one from Pasar Agung Temple, requires 5 hours to reach the top of the mountain, the second from Besakih is the most hard route and will ask you for 6 to 7 hours climbing. 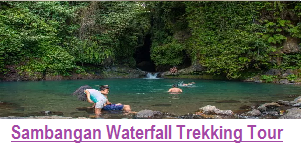 If you are physically fit and looking for adventure and challenge then this road is best for you. Once at the summit you can enjoy a beautiful view at sunrise that will more than compensate for the suffering endured during the ascent. Walk to the top and enjoy the various views before going down.